We were solicited by Meissner Jacquét to develop a new website to refresh their brand and image. They specifically requested a Content Management System to help facilitate content updates. 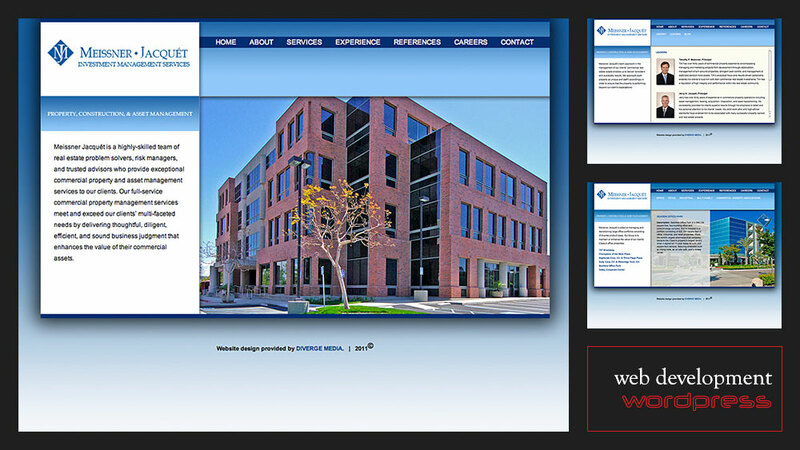 We created a custom WordPress install to house and display their content. As they intended to perform their own site maintenance, we configured all slideshows and image viewers to be dynamically generated so that image replacement would be simple. Once the website was completed, we also offered a training session to their marketing staff to teach them how to use and update their new site.